After winning the closest presidential election race in many years, Dilma Rousseff promised to re-unite Brazil. She said that the priority for her second term would be political reform. In a speech to her supporters, Ms Rousseff said the top priority for her second term would be political reform adding she wanted to be “a much better president than I have been until now”. Last Sunday, the President of Brazil, Dilma Rousseff, has been re-elected for a second term with 51.6% of the vote against the centre-right politician Aecio Neves. Dilma Roussef worked hard in the poorer northern states, and her opponent from the Brazilian Social Democracy Party (PSDB) has campaigned in wealthier and more developed southern parts of Brazil. Indeed, Mrs Roussef faced mass protest last year against corruption and poor services, even if she remains popular with poor Brazilians thanks to her welfare programmes. 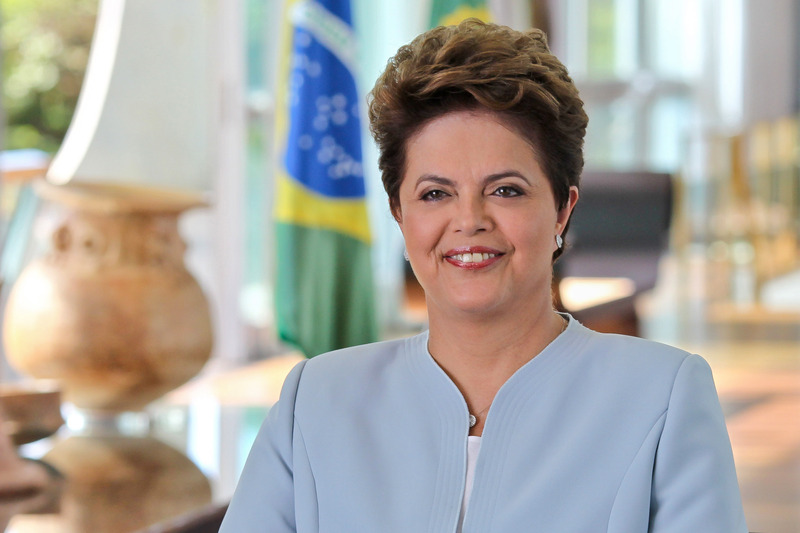 Dilma Roussef was born in 1947, she’s the daughter of a Bulgarian father and a Brazilian mother and she was the first woman to be elected president of Brazil when she came to power in 2010. This entry was posted in WORLD and tagged Brazil, Dilma Rousseff, Election Brazil, presidential election Brazil.